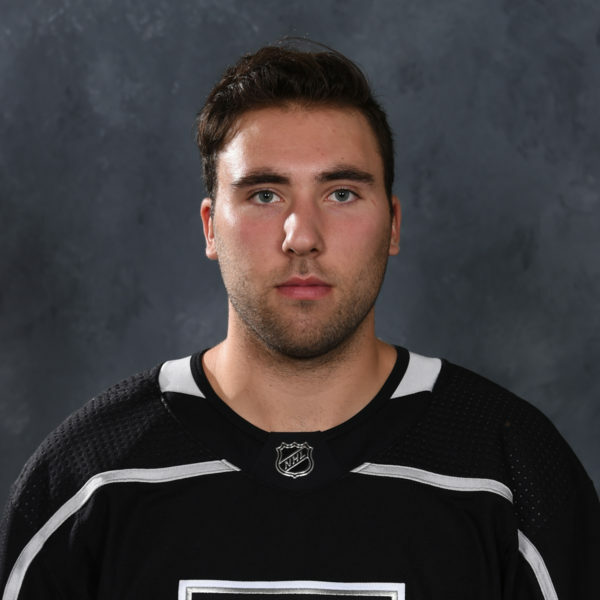 Forward prospect Drake Rymsha signed his entry-level contract last week, and while the announcement and scouting report would normally be covered in one full post, I was on vacation at the time, so you’re stuck with two separate Rymsha posts. And so ends the Rymsha Prologue. Drake Rymsha! 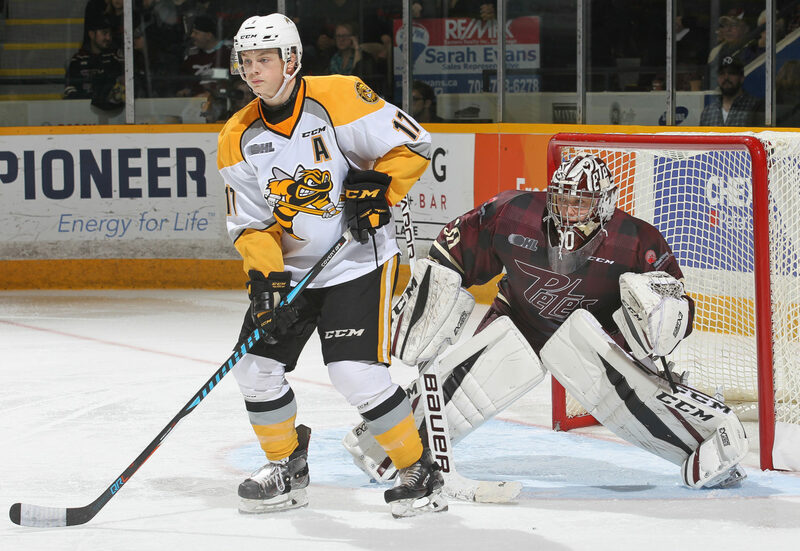 He’s coming off a 68-game, 31-goal, 73-point season with the OHL’s Sarnia Sting, continuing a notable resurgence after a year and a year of lukewarm productivity with the Ottawa 67’s. 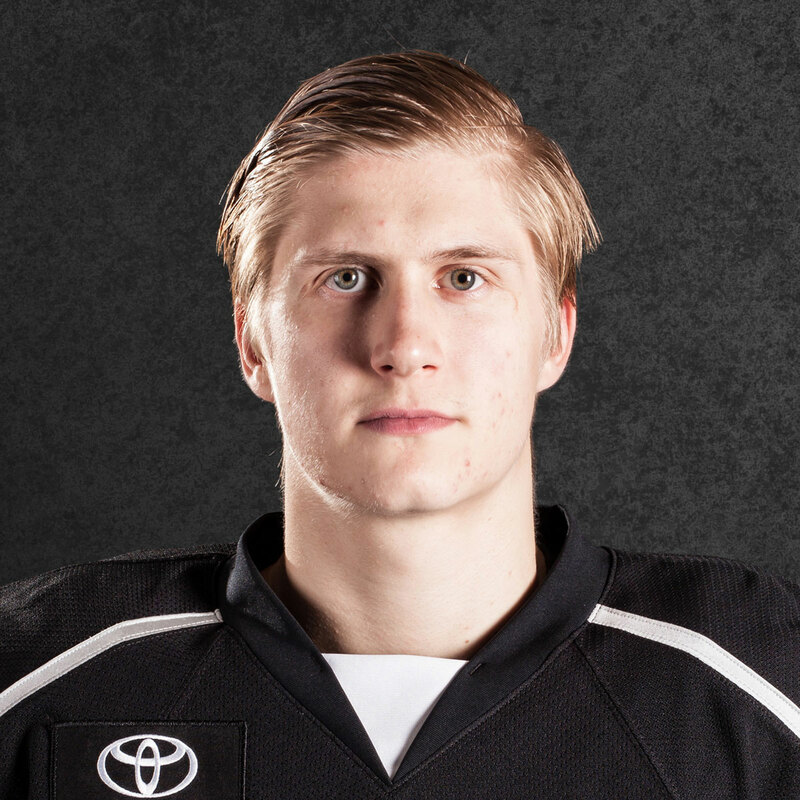 This is the Rymsha origin story: he missed three months during his 2015-16 draft season because of a fractured femur; returned to Ottawa but wasn’t able to transfer his potential into cold, hard production amidst the disappointment of missing a crucial chunk of his draft season; joined the Sting late in the season and scored 20 goals in 28 games; was drafted by the Kings in the fifth round that June in his second year of draft eligibility; returned to Sarnia as a physical, straight-line, net-bound responsible goal scorer; signed his ELC. 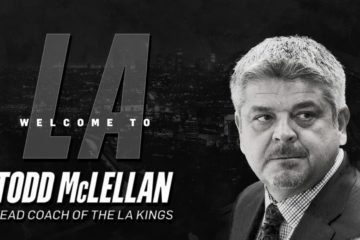 Having spoken with figures in the Kings’ executive and scouting branches, the team sees the contract as a reward for the player’s development with the mutual understanding that there’s lots of hard work ahead. First, and very importantly, Rymsha is 20. He’s eligible to play either at the professional level or be returned to the OHL as an overager. 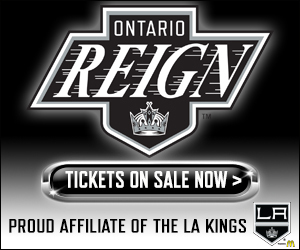 From internal conversations, as well as the understanding that Rymsha is not participating in Sarnia’s training camp, and, per the Sarnia Observer, isn’t “expected back”, Rymsha’s going to get his opportunity to show he belongs with the Ontario Reign. Expect him to open the season in the Inland Empire. 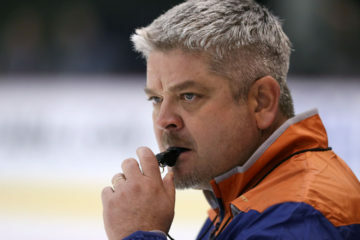 Should he ultimately make the leap to the pro game, it will be built off the work he put in with both the Sting and the Kings’ development staff. Mike Donnelly spent a good deal of time with him over the past year and challenged him to make strides in his consistency and work ethic. He has made those strides, checking off the boxes that the team had assigned since his drafting. The Kings now want to see him transfer that wherewithal and confidently earn a professional spot during training camp. Though Rymsha has, ahem, scored 51 goals over his last 96 games, and has worked extensively on his shot, he’s not a player who profiles as a high-skill forward. 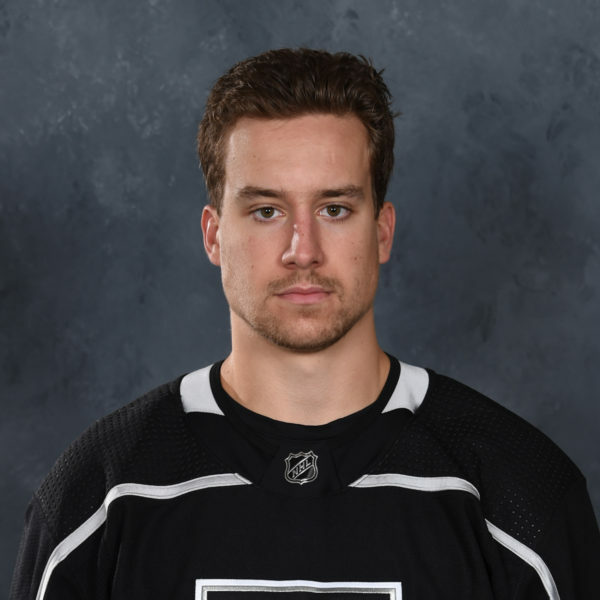 Rather, with his north-south role, forechecking ability and top-notch faceoff acumen – he was voted by OHL coaches as the top faceoff man in the Western Conference – Rymsha profiles more as a responsible, two-way forward who will continue to profile as a center. He started out as a checking-type player but has gradually added some finer, more skilled aspects to his game, and while with Sarnia was able to improve his shot and playmaking ability. With the Sting, he formed a formidable one-two combination with highly touted St. Louis prospect and World Junior Championship hero Jordan Kyrou, who totaled 39 goals and 109 points in 56 games last season. Though the skill refinement has been a nice perk, it’s still the reliability that could help him grow confidence and build a role in Ontario. In the AHL, players have to check well and be hard to play against, and that’s one aspect of play that separates the more experienced veterans from those who might be making the jump from junior hockey. 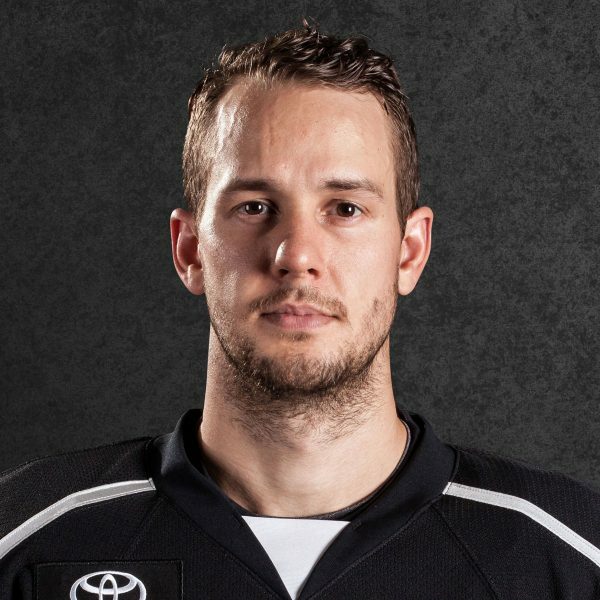 Rymsha was described as a “gritty, determined kid,” and as the son of Andy Rymsha, who played six games with the Quebec Nordiques as part of a 20-year career that included stops in Austria, England, Italy, Germany, Switzerland and, uh, Flint, Michigan, he possesses an intuitive and pedigreed understanding of game situations and responsibility. But much of what LAKI has heard about Rymsha is that he’s ably conquered adversity, whether from his injury or the disappointment of passing through the draft in his first year of eligibility, and was able to take advantage of better situations and usage in Sarnia when compared to Ottawa. Not all players are able to compartmentalize this, but Rymsha was among those to channel what would otherwise be hiccups or roadblocks in a productive way. A native of greater Detroit, the six-foot, 187-pound Rymsha has dual American/Canadian citizenship. 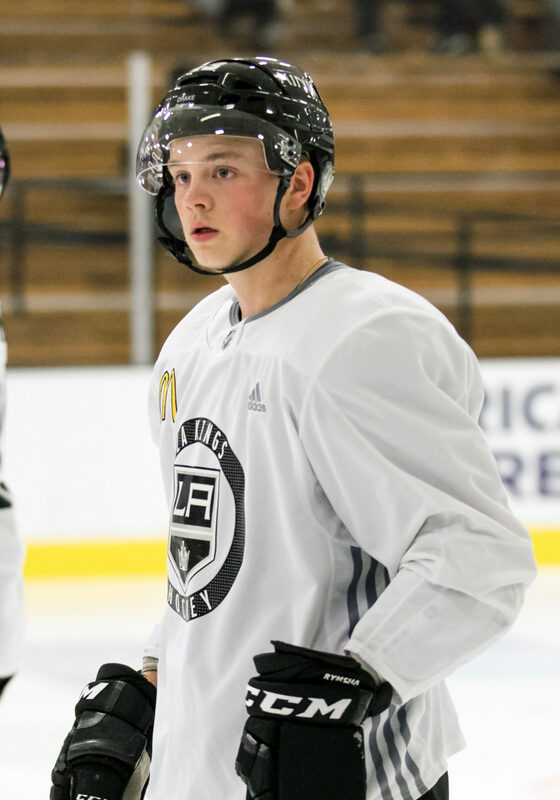 Rymsha is the fourth member of the Kings’ 2017 draft class to sign an entry-level contract, joining Gabriel Vilardi (first round), Jaret Anderson-Dolan (second) and Matthew Villata (third). Defensive prospects Mikey Anderson (fourth), Markus Phillips (fourth) and Cole Hults (fifth) will all be players under strong consideration for an ELC, though Anderson (who will rejoin United States’ world junior team this December) and Hults will represent their NCAA teams in 2018-19. Phillips is expected to return to OHL-Owen Sound for his 19-year-old season after training camp.